The St. Regis Atlanta Unit 1540 - Traditional Model Home — Patricia McLean Interiors, Inc. 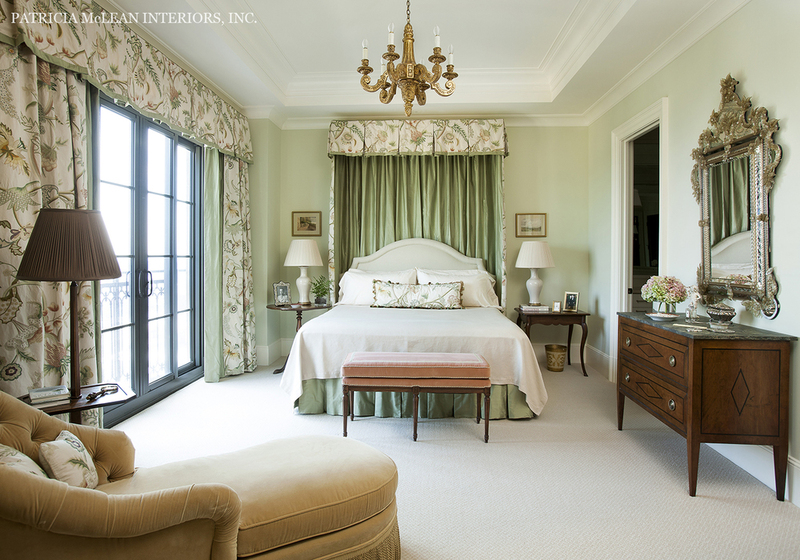 Upon the success of the traditional master bedroom for the 2009 Atlanta Symphony Associates' Decorators' Show House, The St. Regis Atlanta Residences hired Patricia McLean Interiors to design a traditional model home residence in 2011. The unit was a true success and after its sale, Patricia was engaged to design and furnish Unit 1540, which is currently on the market. The existing tile floors have been kept through out the unit and the color palette changed accordingly. The furnishings from the previous unit have been placed in this unit - demonstrating how adept Patricia is at reallocating furnishings. The compass rose composition in the marble is a custom design for the round entry to the two-bedroom, three-and-one-half-bath unit that measures 3,583 square feet. The specialty wall finishes are at once subtle with the strie´ finish and bold with the painted stripes in the adjoining halls, adding a touch of Palm Beach whimsy. The spacious master bedroom and sitting room are inviting. 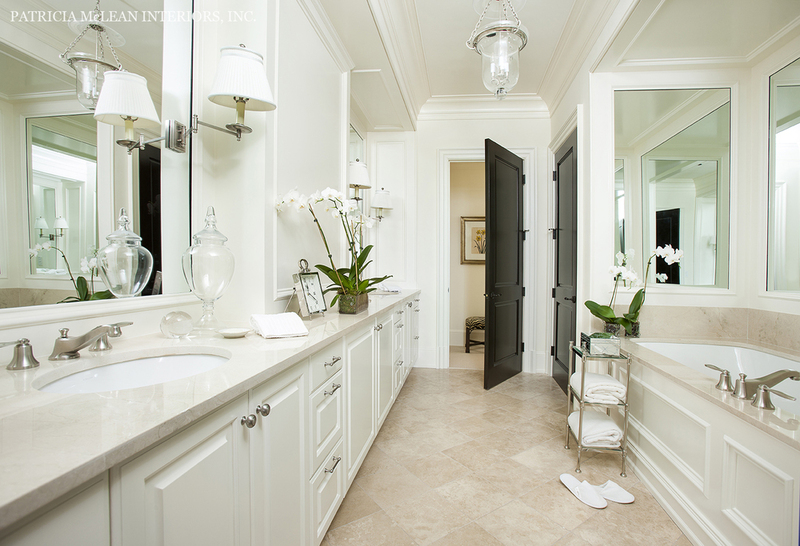 The master bath is enhanced with custom woodwork. The window treatment fabrics include printed cotton, silk, crewel on linen and a woven fabric with metallic thread. Silk trims and couture detailing at windows and on furniture are de rigueur. Antiques are a mixture of English, French, and Italian with wisps of chinoiserie, a signature integration to schemes. The English-style breakfront in the living room is a custom design by Patricia, created by a workshop that produces bespoke pieces she designs. Wool rugs and special art and accessories complete the stunning composition.